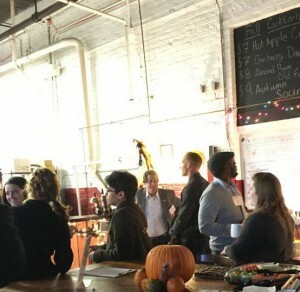 On November 20th, 2015, members of the Rand Institute’s Advisory Board had the opportunity to spend some time with students and staff at Cooper River Distillers, a Camden-based bar and distillery. 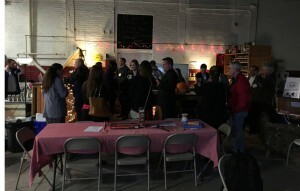 The event was an informal gathering of WRI associates at all levels and proved to be an enjoyable and successful gathering where students and board members alike were able to mingle and network with the individuals who make all of WRI’s work possible. Our special thanks go out to all of our Advisory Board members for offering their time and attention to our students, several of whom found the mixer to be a fantastic opportunity to gather referrals, recommendations, and direction on their future endeavors. Page last updated by Senator Walter Rand Institute for Public Affairs at 12:06 pm January 12, 2016 . 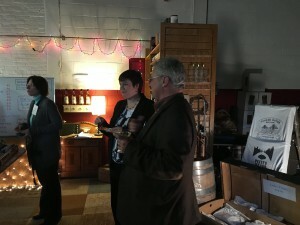 This page was printed from http://rand.camden.rutgers.edu/2015/12/10/wri-hosts-mixer-at-cooper-river-distillers/ at 4:19 PM Monday, April 22, 2019.